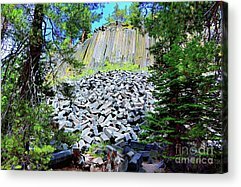 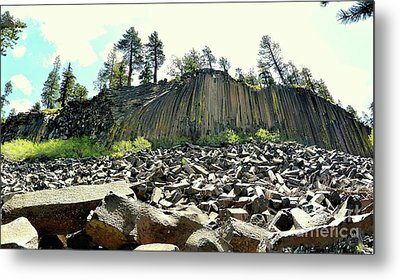 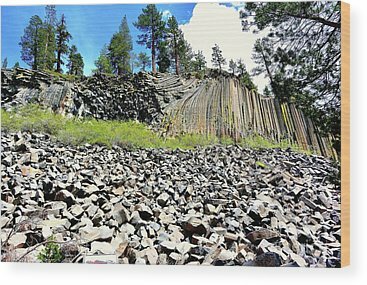 Devils Postpile National Monument is located near Mammoth Mountain in extreme northeastern Madera County in eastern California. 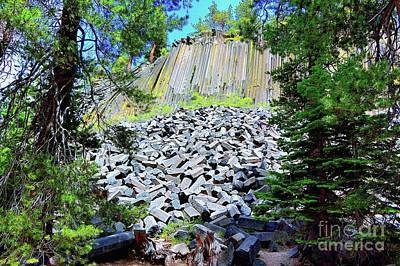 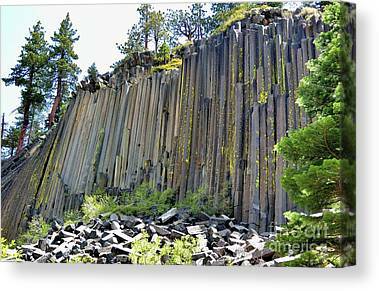 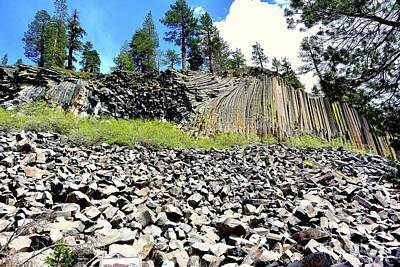 The national monument protects Devil's Postpile, an unusual rock formation of columnar basalt. 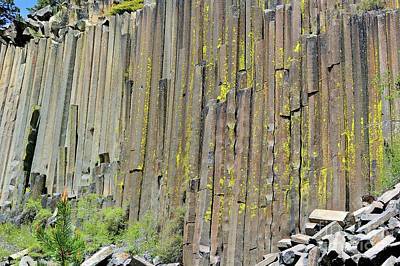 The yellow growing on the basalt is yellow lichens. 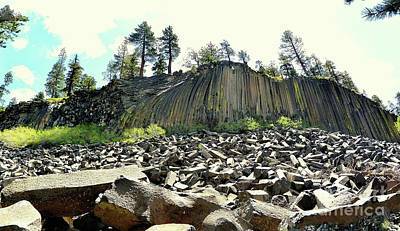 The body of a lichen consists of fungal filaments (hyphae) surrounding cells of green algae and/or blue-green cyanobacteria. 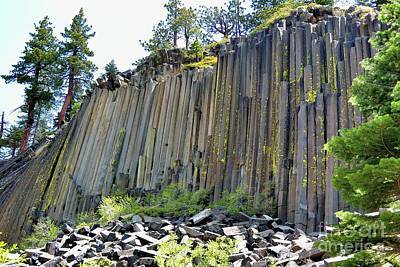 The fungus benefits from the photosynthesis of the algae and the algae benefits from the protection of the fungal filaments. 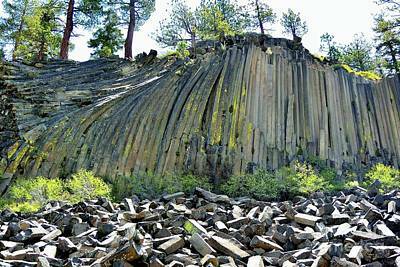 A symbiotic relationship, not parasites.